AsiaBikeTours . INDIA / Ladakh - "Little Tibet"
Mountain retreat of Mughals and Buddhist lamas, the Alps of India. Valley of paradise. These are terms used to describe Kashmir; one of India´s wildest destinations. 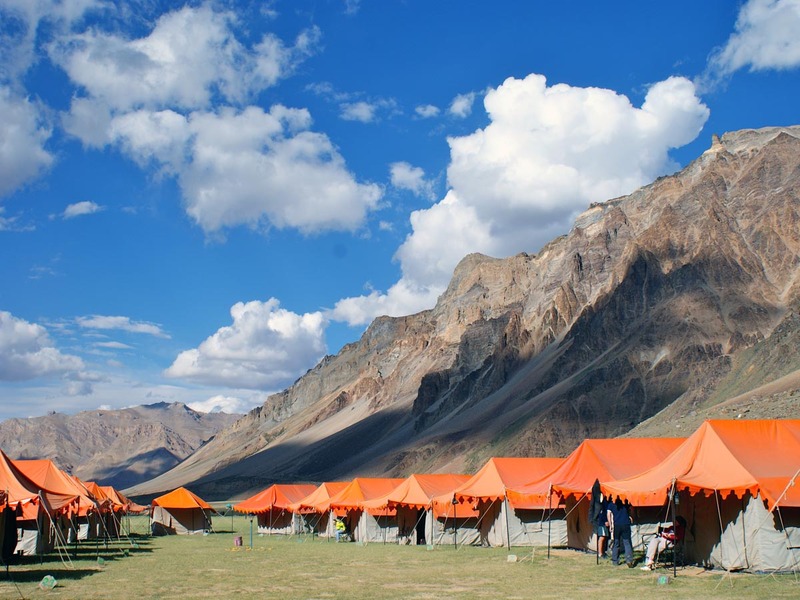 Kashmir boasts some of the highest and most rugged landscapes on earth in mountainous Ladakh and one of the most sublime in serene Dal Lake. These rugged Buddhist regions, reachable via the world´s highest mountain passes, are a little slice of Tibet transplanted to India - wedged in by roaring rivers and snow-capped mountains. Rider's requirements A comfortable ride on tarmac and gravel. Steady nerves for the traffic needed! Important VISA needed! For many nationalities "Visa on arrival" possible now. You need to apply online! 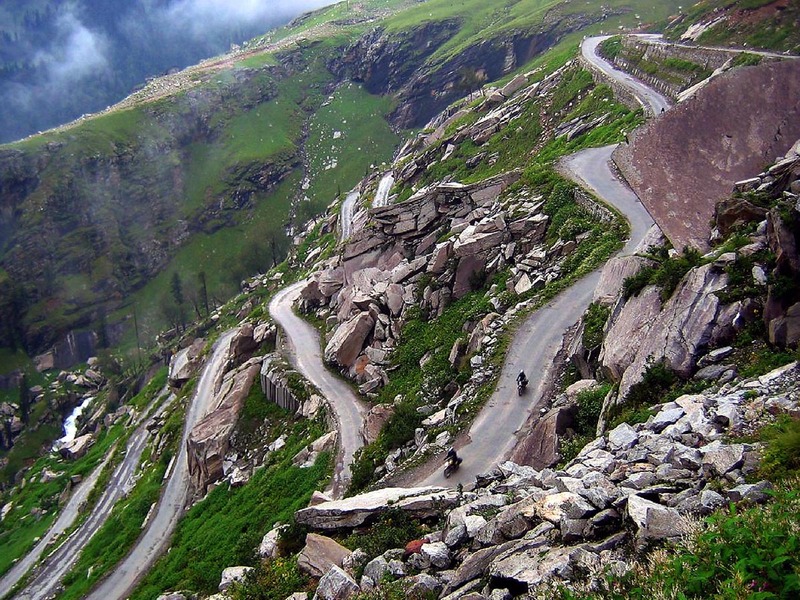 Rider 2.875 € | Co-rider 2.375 € | Single room supplement 480 € SPECIAL ROUTING via Spiti Valley. 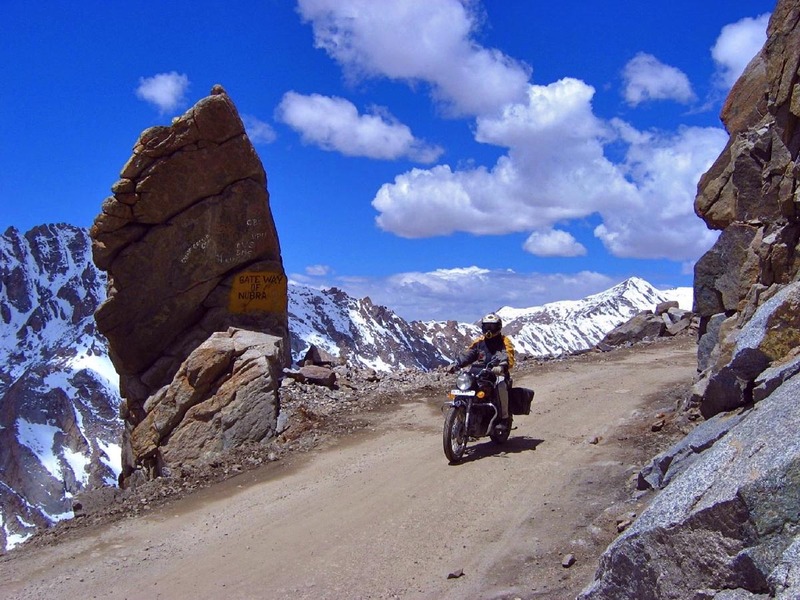 Explore the Himalyas "Off the beaten track" - (wherever possible...) Motorcycle of choice will be our brand new fleet of Enfield Himalayan´s - but you still got your choice of Classic Bullet´s. Day 1 Arrival in Delhi. Airport pick-up and transfer to hotel. Day 2 Early morning we take the Shatabti express train to Kalka and by bus to Nalagarh Fort. After a briefing on bikes and traffic and a few circuits around the parking lot, we ride a few Kilometers before heading back for dinner. Day 3 A ride up to Shimla, the former summer residence of the British Raj, at an altitude of 2.200 m / 7.217 ft.
Day 4 An endless up and down and round and round, Jalorie La pass, 3.125m, and some memorable scenery on the road to Gusheini. Fresh fish out of the river next to Raju's Lodge maybe? Day 5 A relaxing ride along the Beas river get us to India's honeymoon capitol, Manali. Day 6 An awesome ride up the 3.890 m / 12.760 ft to Rothang Pass on route to Keylong. Day 7 Scenery that makes you feel as if you´re on the moon. And a great camp at Sarchu. Swiss tents with beds inside. Day 8 Landscape out of this world - another remarkable day through two passes above 5000 m / 16.400 ft! We stay next to Tso Kar at Eco Lodge. Day 9 Another memorable ride to the most beautiful lake in the Himalayas, Tso Moriri, surrounded be snow covered mountains. Stay at a new hotel overlooking the lake. Day 10 On the way to Leh, the capitol of Ladakh, we visit the monasteries of Hemis and Tikse. 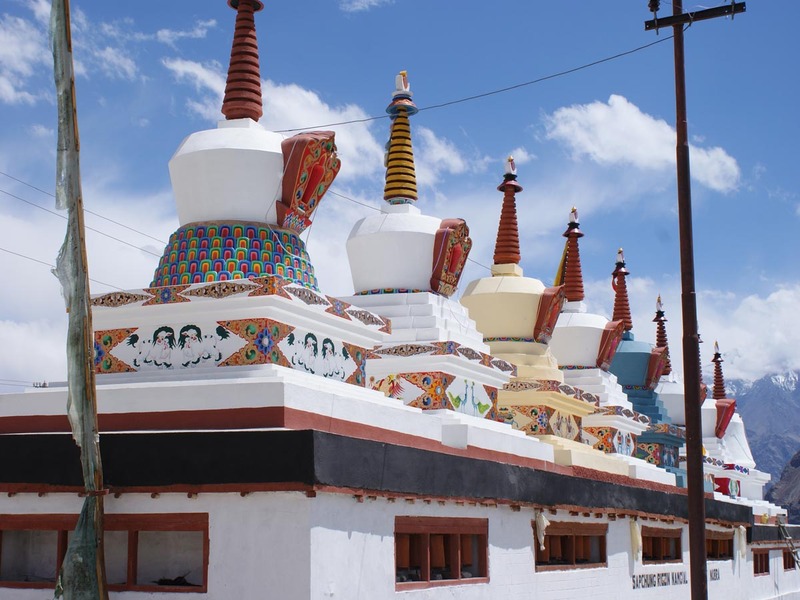 Day 11 We explore Leh and its vicinity with Stok palace and Matho monastery. Day 12 Another highlight of the tour! 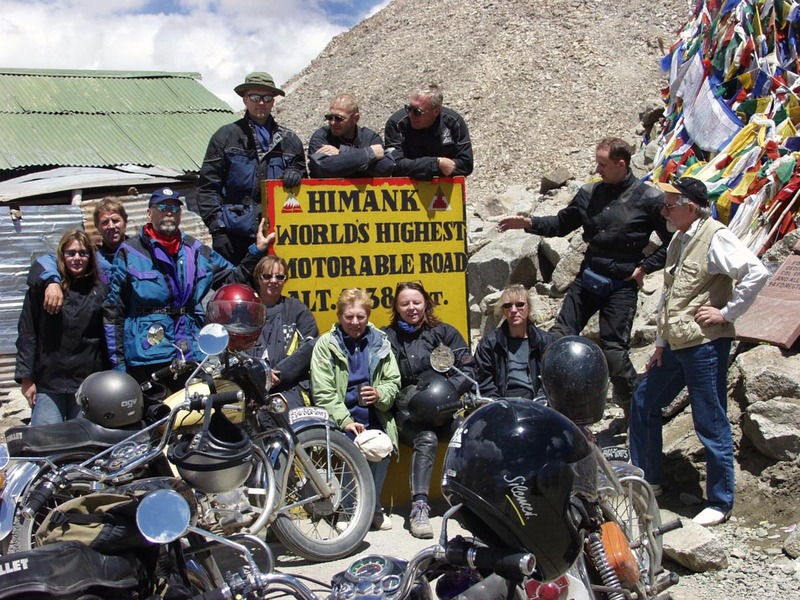 We cross Kardung La, at 5.603 m / 18.380 ft, the world's highest motorable road. Day 13 We explore the sand dunes and ride our motorcycles across Kardung La and along the Indus valley to Alchi. Day 14 We leave Alchi in the morning for Kargil. On the way, we visit Lamayuru Monastery in the "Moon Valley”. After a Lunch Snack at the foot of the monastery we head back to Leh. Day 15 Early morning flight to Delhi, Time for some shopping or just relax at the hotel. Nightflight back home. 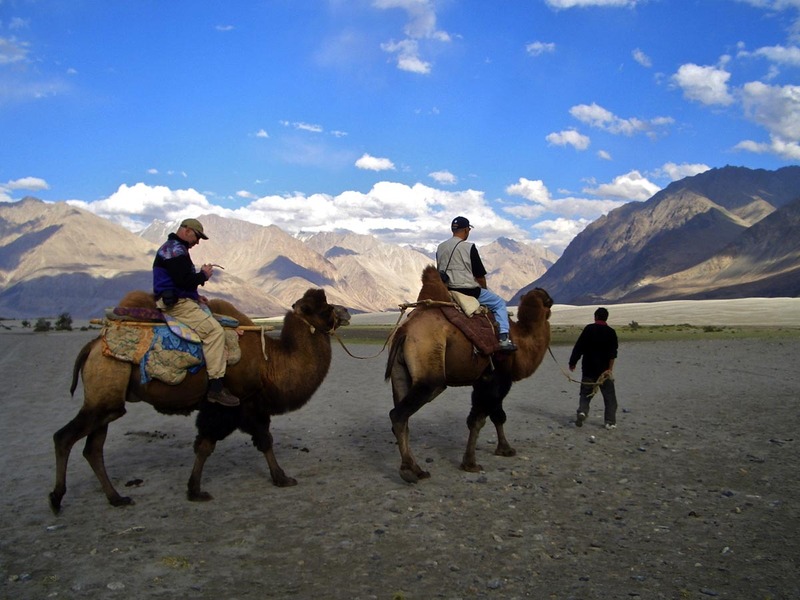 > INDIA / Ladakh - "Little Tibet"